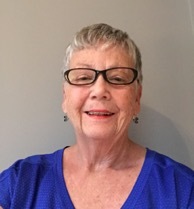 Hazel Wilson has been a member of a national group known as Patient Partners in Arthritis for over 20 years. Through her involvement with this group she became interested in finding out more about Patient Oriented Research (POR) and feels very fortunate to have involved in many National projects through this group. These projects have given Hazel the opportunity to share her thoughts and experiences from the ground level. She hope that citizens, such as herself, will be able to assist researchers, administrators and policy makers to encouraging change in our health care system for future generations.